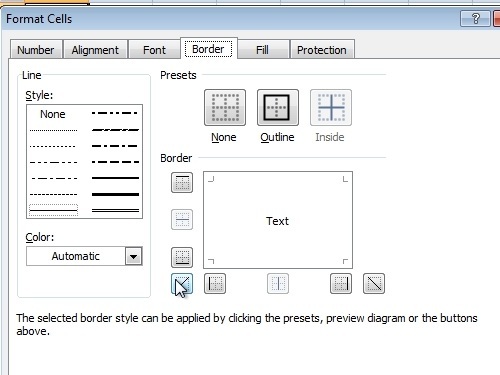 In this video tutorial we will show you how to split excel cells diagonally. 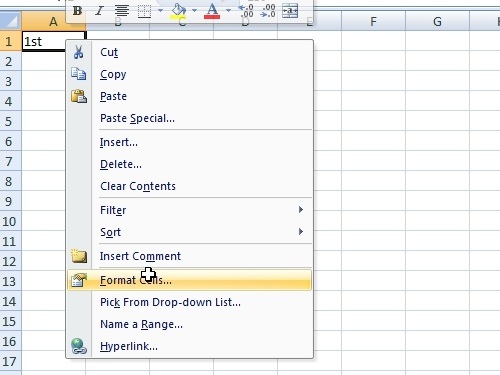 In order to split an excel cell diagonally, first open the Microsoft Excel. Type “1st” and press “enter” key. Then right-click on this cell and choose “Format cells”. Click on the “Border” tab. Choose the diagonal line and press “ok”. Make your cell wider and bigger. In the “Home” tab, click on the “by upper edge” in the alignment section. After that, go back to editing your cell. Press “Alt+Enter” a few times and type “2nd”. Move “2nd” with a “space” key. Now your cell is split diagonally.